The U.S. Secretary of State heads to the Middle East on Monday to work toward a solution to the Israeli- Palestinian conflict. WASHINGTON — Secretary of State Hillary Clinton arrives in the Middle East on Monday to begin making good on her commitment — and President Barack Obama’s — to make negotiating an end to the Arab-Israeli dispute a diplomatic priority. Rather than bold visions and sweeping peace plans, however, Clinton will enter the Middle East arena with relatively modest steps to buttress a shaky cease-fire in place since the recent Gaza war, according to senior U.S. officials and Middle Eastern diplomats. She doesn’t have much choice. The militant Islamic group Hamas, which opposes negotiations with Israel, controls Gaza, and the secular Palestinian Authority, which is more amenable to compromise and controls the West Bank, is dogged by allegations of corruption and incompetence. 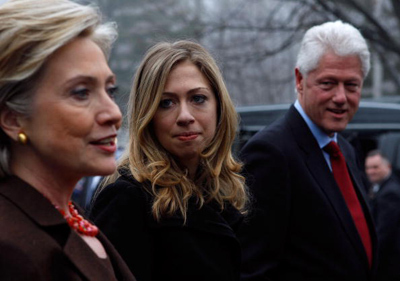 The important talks may be ones that Clinton isn’t participating in directly — negotiations between Hamas and the rival Palestinian Authority over a Palestinian unity government. Clinton on Friday welcomed progress in the talks between Hamas and the Palestinian Authority but reiterated that Hamas must recognize Israel’s right to exist, renounce violence and commit to peace talks. ”Otherwise, I don’t think [a unity government] will result in the kind of positive step forward either for the Palestinian people or as a vehicle for a reinvigorated effort to obtain peace,” she said in a Voice of America interview. In Israel, meanwhile, hawkish Likud party leader Benjamin Netanyahu is trying to form a government following elections in which Israeli voters, soured on the prospects for peace, veered sharply to the right. Hopes for a pragmatic Israeli unity government were dashed Friday when Foreign Minister Tzipi Livni of the centrist Kadima party rebuffed Netanyahu’s appeals to join him in a coalition. Livni said she couldn’t join with Likud because of the right-wing party’s opposition to the establishment of an independent Palestinian state. Livni’s decision makes it more likely that Netanyahu will establish a center-right government with Israel’s ultra-Orthodox and far-right political parties. It probably will boost the power and influence of ultra-nationalist Avigdor Lieberman, the head of Israel’s third-largest parliamentary bloc and a polarizing figure inside Israel and around the world. Likud traditionally has been a supporter of expanding Jewish settlement on the West Bank, which Palestinians see as making a mockery of peace talks. Obama and Clinton have given no hint yet as to how they’ll handle the politically explosive settlements issue. Clinton’s first stop will be in Sharm el-Sheik, on the southern tip of Egypt’s Sinai Peninsula, where she’ll attend a donors’ conference that will marshal humanitarian aid for war-torn Gaza. Clinton is expected to announce a U.S. pledge of about $900 million. Aid from foreign treasuries alone, however, is unlikely to have much lasting impact. Israel, which controls most of what goes in and out of Gaza, has made it clear that it won’t allow major building supplies into the isolated Mediterranean strip so long as it’s controlled by Hamas. With the prospects for productive peace talks uncertain at best, however, Clinton and Obama’s special envoy, George Mitchell, are likely to find themselves, like their predecessors, dealing with frustrating details such as how to get humanitarian and rebuilding aid into Gaza without inadvertently helping Hamas. U.S., Israeli and Arab officials are working on a plan that would see aid channeled to international organizations and directly to individuals and business owners in Gaza, bypassing Hamas. 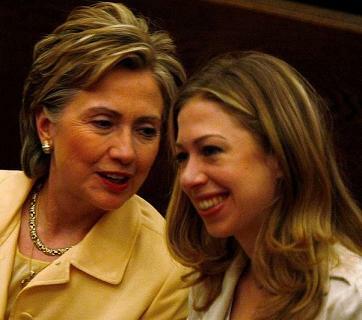 Being the wonderful parents they are,� Bill and Hillary have produced a wonderful daughter. HAPPY 29th BIRTHDAY CHELSEA….� Many Happy Returns! 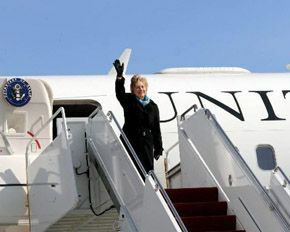 Secretary of State Hillary Rodham Clinton will travel to Egypt, Israel, the Palestinian Territories, Belgium, Switzerland, and Turkey from March 1�7, 2009. Secretary Clinton will attend and participate in the donor�s conference for Gaza recovery hosted by Egypt on March 2. Special Envoy for Middle East Peace George Mitchell and other high-level representatives will be in attendance in Sharm el-Sheikh with the Secretary during the conference. The Secretary also will meet with senior Egyptian officials. After the conference, Secretary Clinton will travel to Israel and the Palestinian Territories and meet with senior officials. In Brussels, Secretary Clinton will attend an informal meeting of NATO Foreign Ministers on March 5, where she will consult with Allies and seek consensus on the approach to the upcoming NATO Summit. The Secretary also will attend a meeting with foreign ministers from all NATO and EU countries, as well as Switzerland, to further boost transatlantic relations. Also in Brussels, Secretary Clinton will meet separately with EU officials. In Geneva, Secretary Clinton will meet with Russian Foreign Minister Sergey Lavrov to discuss a number of issues of mutual interest, including possibilities for a follow-on agreement to START, and deepening our cooperation in areas such as Afghanistan. 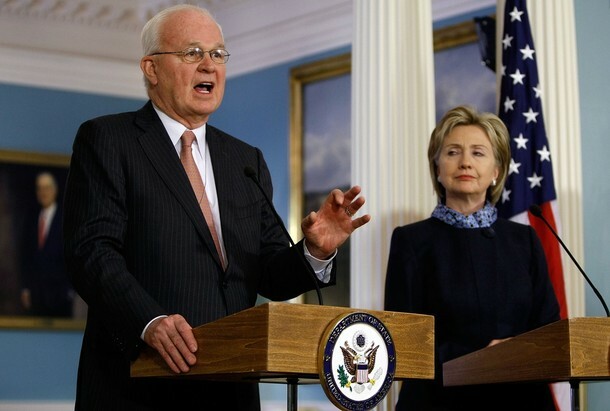 While in Ankara Secretary Clinton will meet with key Turkish officials. SECRETARY CLINTON: I apologize for being a little late. This is such an important event in the annual calendar of the State Department. You know, human progress depends on the human spirit, and this inescapable truth has never been more apparent than it is today. The challenges of this new century require us to summon the full range of human talents to move our nation and the world forward. Guaranteeing the right of every man, woman and child to participate fully in society and to live up to his or her God-given potential is an ideal that has animated our nation since its founding. It is enshrined also in the United Nations Universal Declaration of Human Rights, and was reflected in President Obama�s Inaugural Address when he reminded us that every generation must carry forward the belief that all are equal, all are free, and all deserve a chance to pursue their full measure of happiness. Our foreign policy must also advance these timeless values which empower people to speak, think, worship and assemble freely, to lead their work and family lives with dignity, and to know that dreams of a brighter future are within their reach. Now, the promotion of human rights is essential to our foreign policy, but as a personal aside, I have worked for many years and in various capacities on the issues that are encompassed under the rubric: human rights. 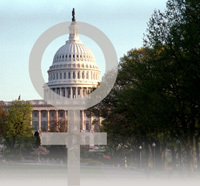 It is of profound importance to me and has informed my views and shaped my beliefs in ways large and small. As Secretary of State, I will continue to focus my own energies on human rights, and I will engage as many others as I can to join me, both through traditional and untraditional challenges. I am looking for results. I am looking for changes that actually improve the lives of the greatest numbers of people. Hopefully, we will be judged over time by successful results from these efforts. To begin, not only will we seek to live up to our ideals on American soil; we will pursue greater respect for human rights as we engage other nations and peoples around the world. Now, some of our work will be conducted in government meetings and official dialogues. That�s important to advancing our cause. But I believe strongly we must rely on more than one approach as we strive to overcome tyranny and subjugation that weakens the human spirit, limits human possibility, and undermines human progress. We will make this a global effort that reaches beyond governments alone. I intend for us to work with nongovernmental organizations, businesses, religious leaders, schools and universities as well as individual citizens, all of whom can play a vital role in creating a world where human rights are accepted, respected, and protected. Our commitment to human rights is driven by our faith and our moral values, and by our belief that America must first be an exemplar of our own ideals. But we also know that our security and prosperity and progress is enhanced when people in other places emerge from the shadows to gain the opportunities and rights that we enjoy and treasure. It is now my pleasure to bring to the podium Karen Stewart, Acting Assistant Director* for Democracy, Human Rights, and Labor, who will present the report and take your questions. Karen? TOKYO – Hoping to give new momentum to a plan to rework the deployment of U.S. troops in the Pacific, Secretary of State Hillary Rodham Clinton signed an agreement Tuesday with Japan that will move 8,000 Marines off the southern Japanese island of Okinawa to the U.S. territory of Guam. The framework of the transfer had already been agreed on in 2006, but several major points remain to be worked out, including the location of a base to replace Okinawa’s Futenma air station, a major hub for the Marines there. Officials on both sides have agreed to relocate the operations of the base to another, less crowded part of Okinawa, but local opposition has stalled progress. Japan’s Foreign Minister Hirofumi Nakasone also hailed the agreement. There are currently about 13,000 Marines stationed on Okinawa, and 23,000 U.S. troops there overall. They are part of about 50,000 U.S. troops deployed in Japan under a post-World War II mutual security pact. The cost of the realignment plan has generated intense debate in Japan. Guam’s transformation is expected to cost at least $15 billion and put some of the U.S. military’s highest-profile assets within the fences of a vastly improved network of bases. In the pact signed Tuesday, Japan agreed to give Washington $2.8 billion for the transfer costs, though its contribution is expected to go higher. On Monday, The Asahi, a major newspaper, reported that some of the budget will be used to improve Naval and Air Force facilities on Guam. The daily said that would go against the pact, which has been interpreted to limiting Japanese spending to Marine-related projects. SECRETARY CLINTON: I’m delighted to welcome the foreign minister of Colombia here. It’s a real pleasure to have the representative of a country that has made so many strides and so much progress, and we have a lot to talk about because there is so much we have in common to work on. Welcome. FOREIGN MINISTER MERIZALDE: Thank you very much. FOREIGN MINISTER MERIZALDE: Thank you. SECRETARY CLINTON: Good afternoon. I am so pleased to welcome the foreign minister of Brazil to the State Department. Mr. Minister, our countries have a great set of opportunities and responsibilities. FOREIGN MINISTER AMORIM: That’s important, then. SECRETARY CLINTON: That’s what we’re going to do. FOREIGN MINISTER AMORIM: That’s important. 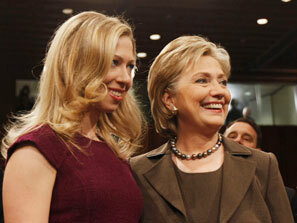 SECRETARY CLINTON: Thank you so much. Thank you all. SECRETARY CLINTON: It is a great pleasure to welcome the foreign minister here. You know, Poland is one of our closest allies, and our relationships between our two countries, particularly the Polish American community and the many contributions that they’ve made, make this an even more special partnership. So, welcome Mr. Minister. 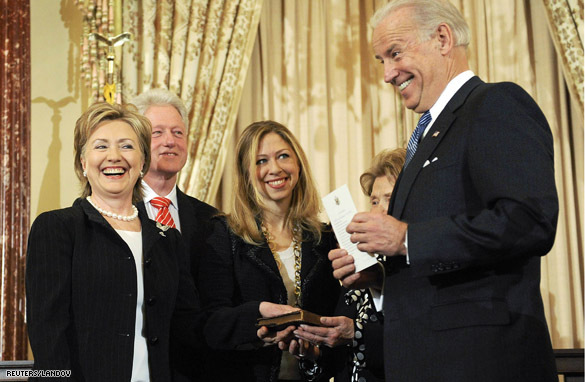 SECRETARY CLINTON: Well, I am so pleased to welcome a friend to Washington and to the State Department. She’s no stranger to either, but it’s a great honor for me to have you here in my new capacity. FOREIGN MINISTER BAKOYANNIS: Thank you, Madame Secretary. It’s a pleasure to be back in Washington. FOREIGN MINISTER BAKOYANNIS: And I’m looking forward to working with you. SECRETARY CLINTON: Me too. Thank you. Thank you all very much. Remarks Secretary Clinton and Pakistani Foreign Minister Makhdoom Shah Mehmood Qureshi. SECRETARY CLINTON: Good afternoon. I was very pleased to welcome the minister and his delegation here to the State Department. As you know, we are consulting very closely with the Government of Pakistan on our strategic review of our way forward. And I’m very grateful for the minister’s advice and counsel, and I look forward to further discussions and to having him back here tomorrow night for dinner along with his counterparts from Afghanistan. FOREIGN MINISTER QURESHI: Thank you. SECRETARY CLINTON: Thank you. It was a pleasure. Thank you all very much. QUESTION: Mr. Minister, do you have any concerns that the 17,000 troops announced by President Obama going into southern Afghanistan will push the Taliban further into areas of Pakistan like Baluchistan? And Secretary Clinton, did you assure the minister that you’ll work with Pakistan on that? SECRETARY CLINTON: Well, we’re going to save our comments for when we have something to say about the results of our joint efforts. And there is a very open and fully consultative – a full consultative process which we will be working on, and many of these issues will be discussed among us. FOREIGN MINISTER QURESHI: We had an excellent meeting. There’s a convergence between us, there’s a willingness to work together, and I see a lot of hope in the new Administration, the new leadership. And Pakistan is willing to work with the American Administration to fight extremism and terrorism. We are determined to defeat terrorism in all its forms and manifestations.